Working Holiday visa comes in Subclass 417 and in subclass 462. An Australian Working Holiday Visa is known as the WHM Visa also is given to people between the ages of 18 and 30 and is a golden opportunity to have pleasure in working holidays for up to 24 months. It is a cultural exchange program meant for young travelers to have an extended holiday and also earn money in a short-term employment. Another easy feature is that Australia Working Holiday Visa can now be applied online. The conditions of the Australian Working Holiday Visa are easy to comply. It gives the Visa holders casual work rights to ease out their travels. Moreover, employment exceeding 6 months with an employer is not permitted. The application for the initial Working Holiday Visa needs to be made while the applicant is away from Australia. Most of all he/she must have funds to support after arriving in Australia, covering an adequate amount for the first part of the stay. The applicants are asked to show evidence of funds on arrival approximately of AUD$5,000 and include a certified copy of a bank statement and an air ticket out of Australia. It can be extended for a second time provided they have worked in the capacity of a specified worker in Australia for three months. One can stay and work in Australia in all types of part-time, full-time, shift, voluntary and casual work. Respecting Australian values and obeying Australian laws is mandatory. Health insurance from one’s own country is recommended. It is better to read the visa requirements of Government of Australia carefully to determine the norms of eligibility and obligations. Furthermore, the sectors available as ‘specified workers’ are in primary industries, plant or animal cultivation, mining, fishing, tree farming and also construction work. Such Applications can be made inside/outside Australia. 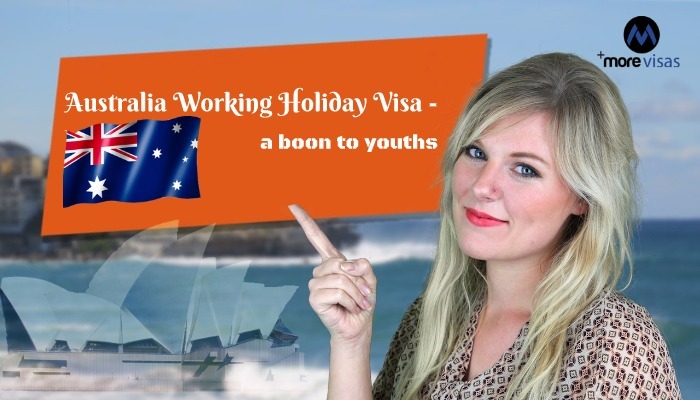 The Working Holiday visa comes in Subclass 417 and in subclass 462. At present, Australia has reciprocal working holiday arrangements with many countries across the world. It is managed by Department of Immigration and Border Protection, Government of Australia. In conclusion, we can say that the Working holidays in Australia, have become a source of joy for the youths. Previous PostFederal Skilled Trades Program – how & What? Next PostIELTS Score – How are they Calculated? how to apply for Australia Visa. Please share your details to [email protected] or call to 1800-2000-144. Our representative will get back to you soon.